This newly researched biography presents an intimate picture of Stephen Gladstone, the previously ignored son of Prime Minister William Gladstone, whose life was tormented by the expectations and interference of his father, his mother Catherine and his sister Mary. This wide-ranging book sets his fascinating character, caught between duty and self-doubt, firmly in its historical context, tracing his progress through the horrors of a nineteenth-century prep school, his thirty-two years as the Rector of Hawarden, his mysteriously acquired final incumbency and the desolating personal effects of the First World War. The Prime Minister's Son. Stephen Gladstone, Rector of Hawarden (written by Ros Aitken), by Ian Cawood (Newman University) in Journal of Liberal History, 80, Autumn 2013, pp. 49-50. Ultimately, this is a very well-written and insightful portrait of a minor figure in the orbit of one of the most remarkable men of the Victorian age. Stephen emerges as something of an irritating milequetoast, nagging at his father, yet unable to act independently, and his treatment of his wife Annie reflects poorly on his character, idolising her in his courtship, yet failing to defend her against the monumental busybody that was his mother, Catherine, once they were married. Remarkably, considering the unabated flow of scholarship on the four-time prime minister, Aitken's biography provides Liberal scholars with a completely original perspective on Gladstone; one which, in this reviewer's eyes at least, seems substantially to confirm Clement Attlee's judgement of William Gladstone as a 'frightful old prig', but which ameliorates it by revealing that Gladstone had, after all, spent his life in the company of prigs. Review of The Prime Minister's Son. 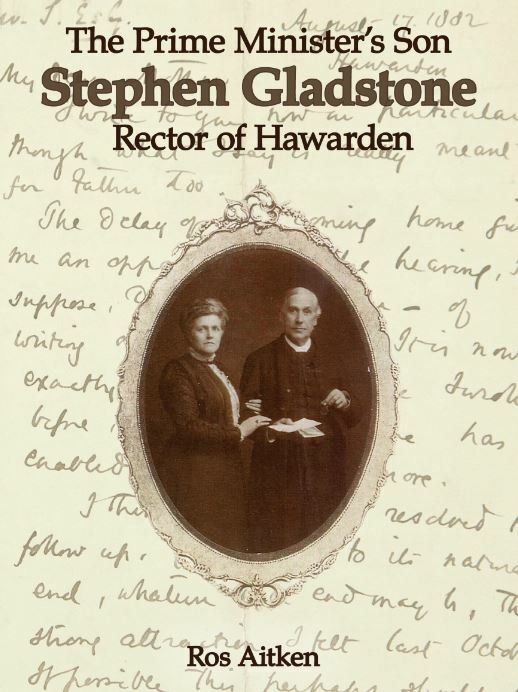 Stephen Gladstone, Rector of Hawarden (written by Ros Aitken), by Paul Ward (University of Huddersfield) in North American Journal of Welsh Studies, 8, 2013, pp. 131-132. This is a detailed and well written biography, exploring [Stephen] Gladstone's long life across the mid and late nineteenth century and into the twentieth century ... It is useful reading both for the view 'from below' of William Gladstone but also as an account of anguish in an aristocratic family in the long nineteenth century. Ros Aitken, The Prime Minister's Son. Rector of Hawarden, 2012, ISBN 978-1-908258-01-4, £14.99.